03 Bedroom Villa in Weligama, Sri Lanka. 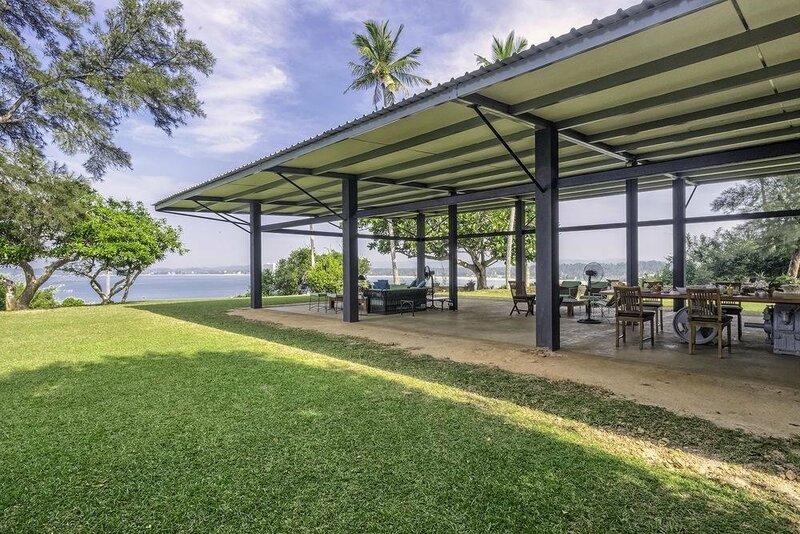 Contemporary Villa on a hill with a small pool, overlooking the Weligama Bay. Sleeps max 4 adults + 3 children. 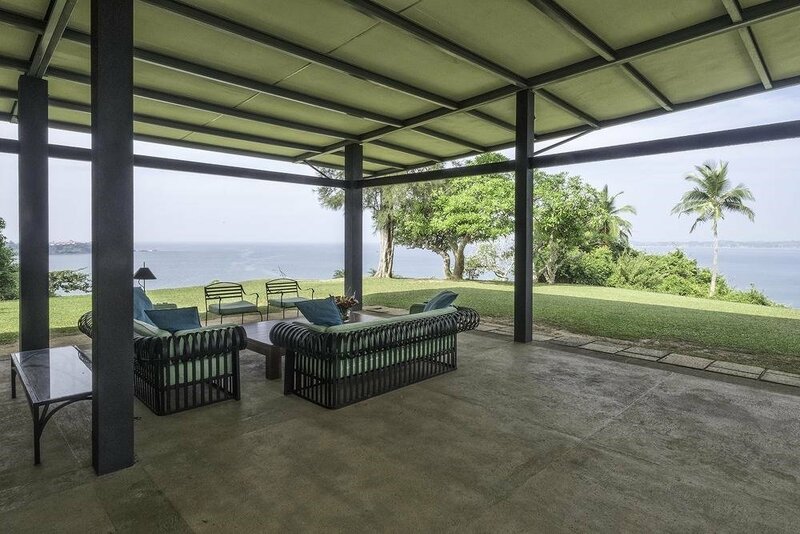 This three bedroom Villa in Weligama is a magnificent villa with great history and a prime cliff-top spot location above Weligama Bay. 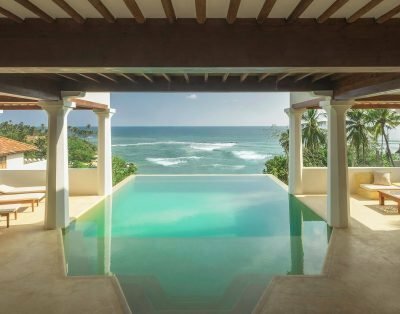 Surrounded by acres of lush tropical gardens, the villa is situated towards the western end of Weligama Bay, with the beaches of Mirissa five minutes further along the A2 to Matara. 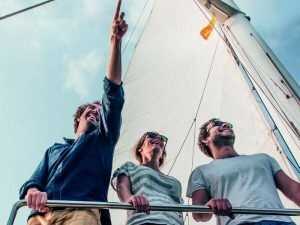 This is an ideal base from which to explore the glorious southern beaches, wildlife sanctuaries, and the cultural heritage of the deep south. 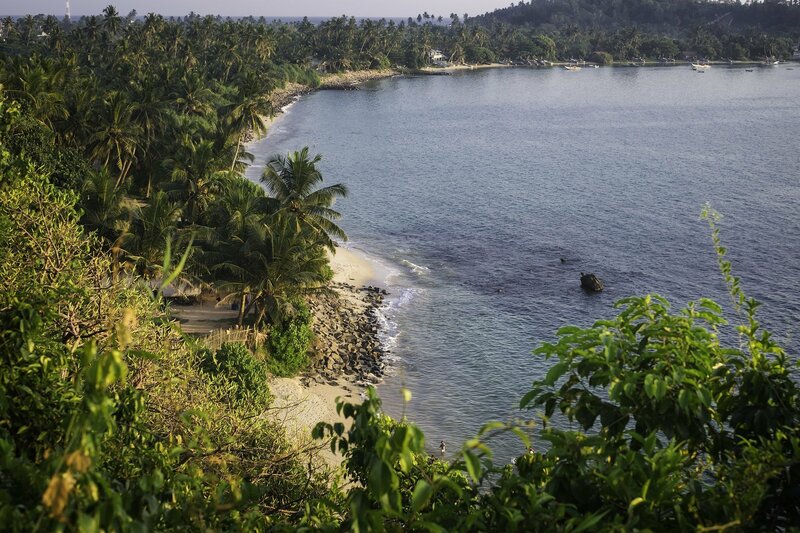 The historic city of Galle is about 45 minutes away. 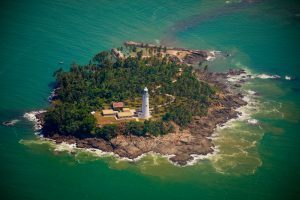 The journey from Colombo’s international airport will take about four-and-three quarter hours or consider taking the Air Taxi and flying into Koggala lake. 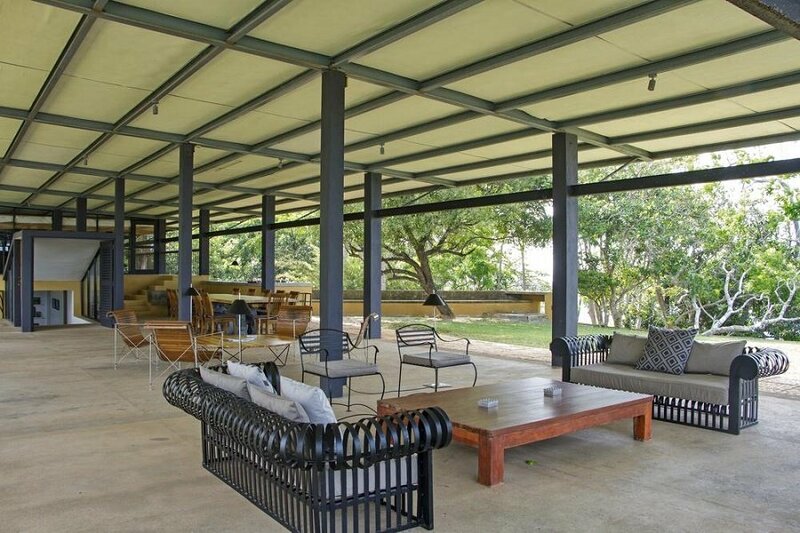 This property was was once the country home of a former president of Sri Lanka, the late J.R. Jayawardene. 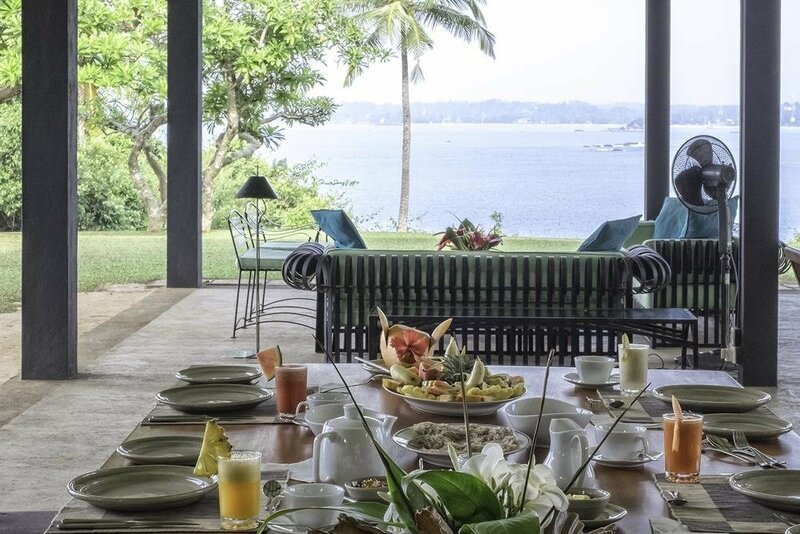 This iconic villa was designed by Sri Lanka’s architecture guru, the late Geoffrey Bawa who has ensured that breathtaking views of Weligama Bay are visible from every corner. 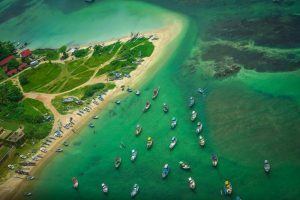 It opened again after a complete refurbishment in late 2010 to welcome those who wish to spend a peaceful and relaxing holiday in the deep south. 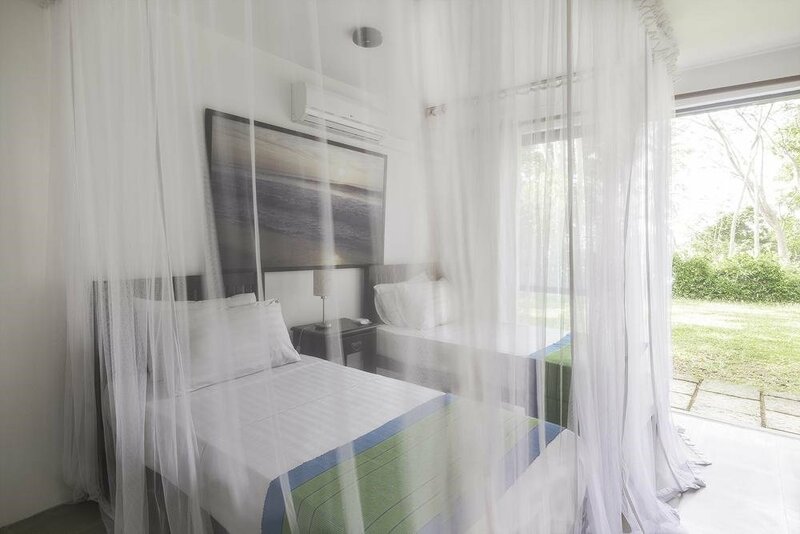 The Villa has staff that will ensure you have a relaxing holiday. Just below the cliffs there are two utterly secluded beaches that are safe for swimming during the season from December to April. 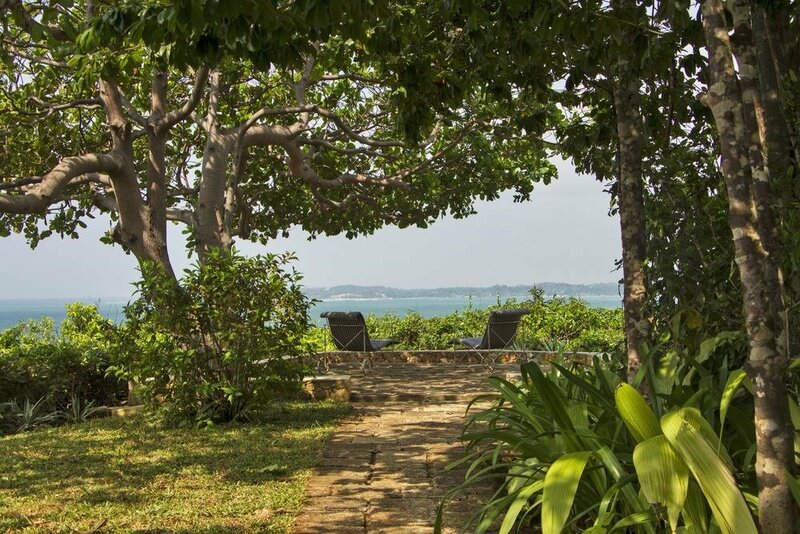 CLOSEST BEACH: This property is on a cliff top, overlooking the Weligama bay. There are some steep steps from the Villa that take you to the beach. Not suited access with people with limited mobility or small children. CLOSEST SURFING BEACH: Weligama Beach (next to Marriott) or Mirissa Bay Surf Point (approx 10 mins tuk tuk). 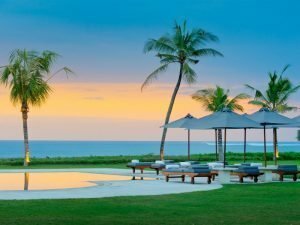 CLOSEST SEASONALLY SAFE SWIMMABLE BEACH: Mirissa Beach (4mins drive). 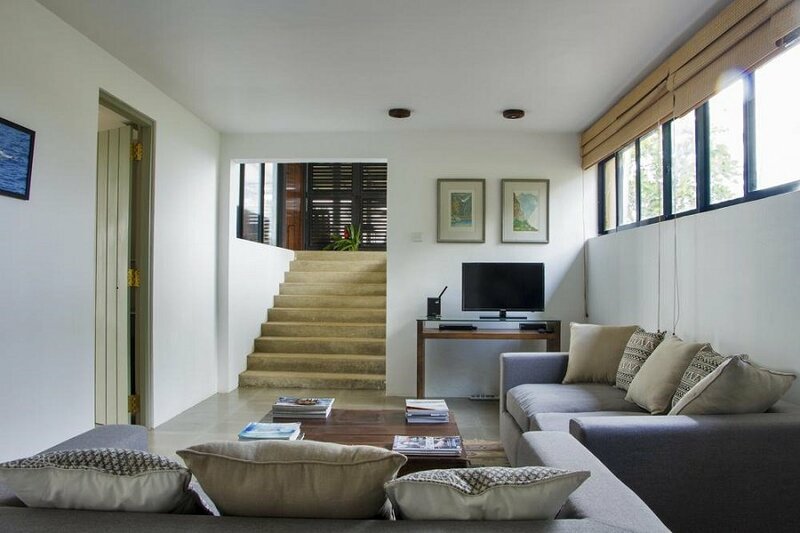 This Villa is rented on a Villa Only basis. All meals can be coordinated with the Villa Chef, who is capable of western and local dishes. The payment is on an ingredients – only basis + transport + 10% service charge on ingredients. As well as flavourful local dishes, you can choose fresh grilled lobster and fish straight from the fishermen on our beach, or a variety of Western dishes for both adults and children. The staff will shop, prepare and serve your meals, and you simply pay the cost of the ingredients in the market that morning. Read more about general Villa meal policies in Sri Lanka. 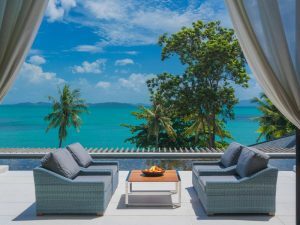 The villa consist of 3 double bedrooms of which two are located on the ground floor opening out to beautiful sea views and two more rooms are located at a level below opening out to the gardens. 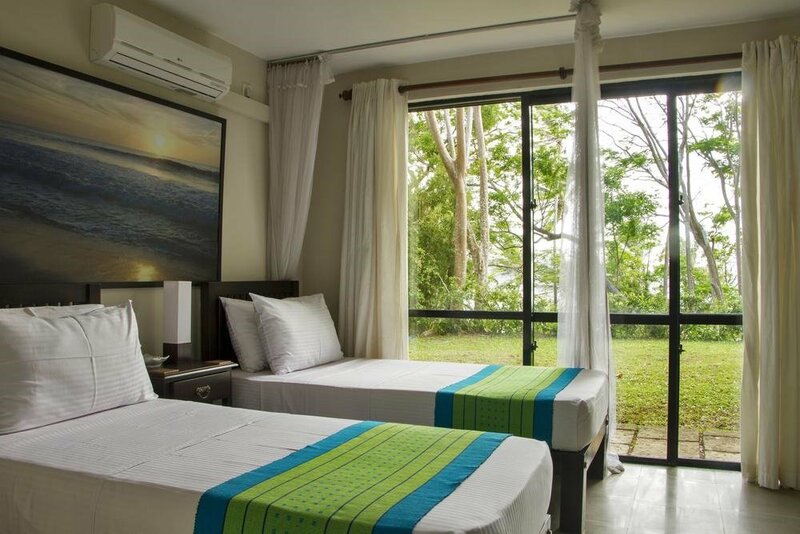 Overhead fans and the ocean breeze help to cool the rooms. 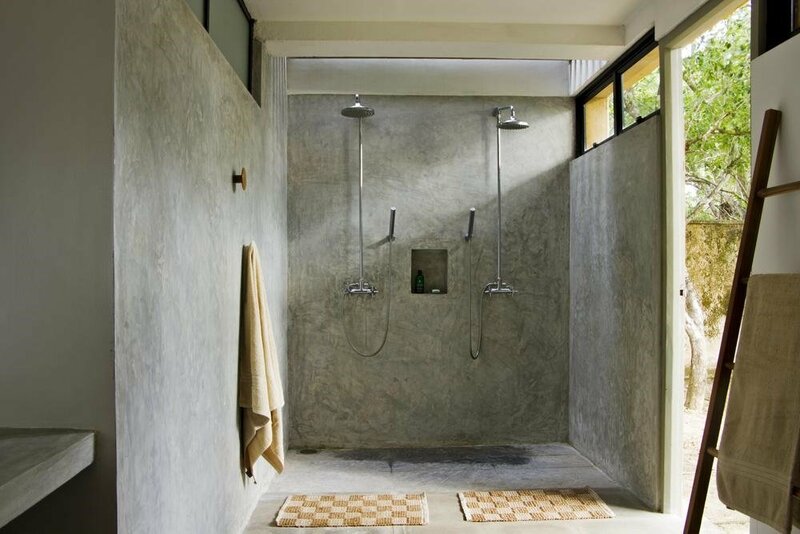 En-suite bathrooms have h/w showers. 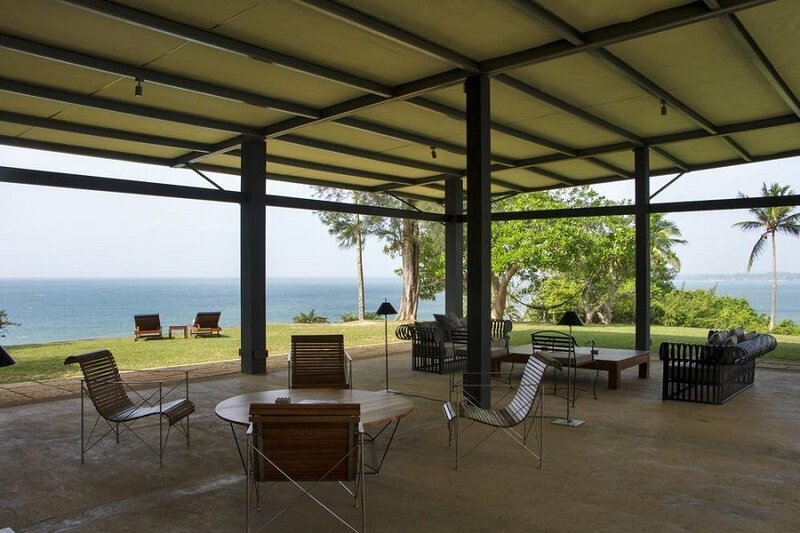 In keeping with Bawa’s architectural style of erasing boundaries between the inside and out, the living and dining areas open out to the gardens, the surrounding red cliffs, and the Indian Ocean waters below. Sri Lankan and western cuisine is served here prepared to your liking. BEDROOM 1 | MASTER SUITE: 1st floor. Ensuite. King size bed. Air con. Sofa. BEDROOM 2 | DOUBLE: Lower level. King size bed. Ensuite. Air con. BEDROOM 3 | TWIN: Lower level. Twin beds. 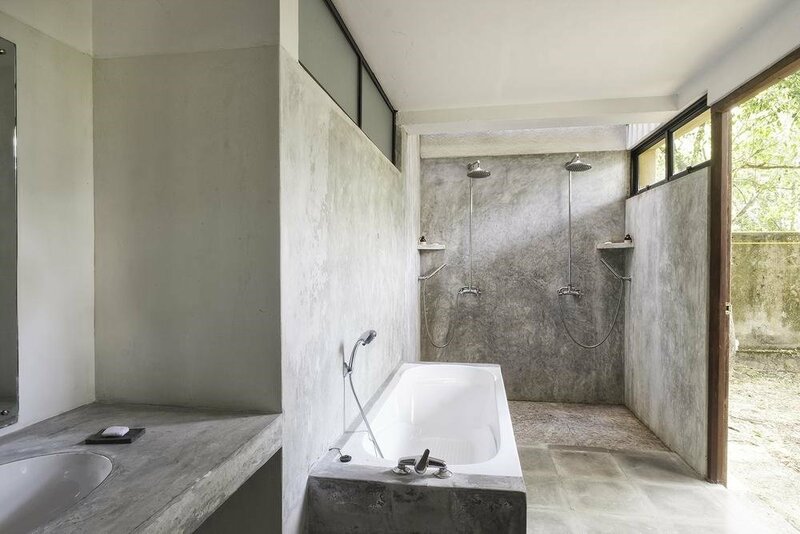 Bathroom not ensuite. Air con. PAVILION SITTING AND DINING: Open plan. Open sided. Stunning views across the bay. 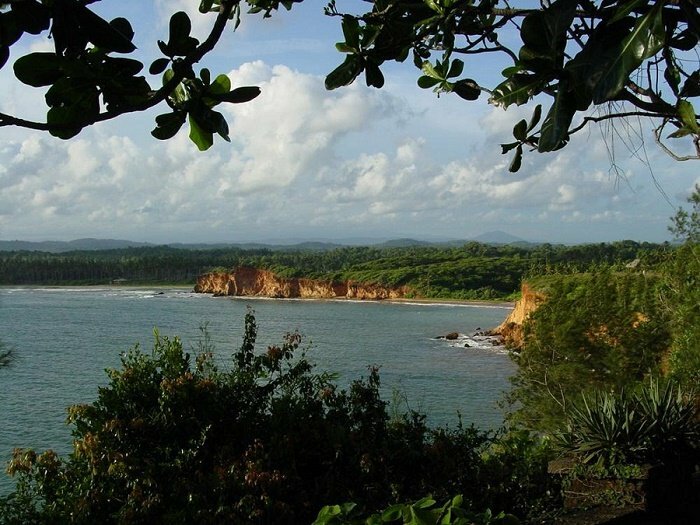 BEACHES: There are two small beaches accessed via steep steps and over grown track. 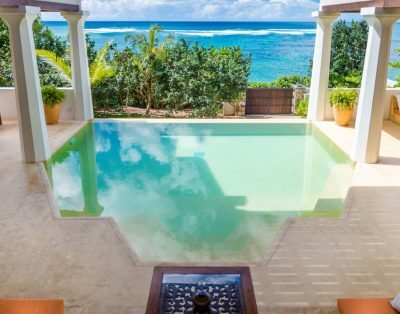 This Villa is suitable for events, celebrations and small weddings for up to 100 guests. 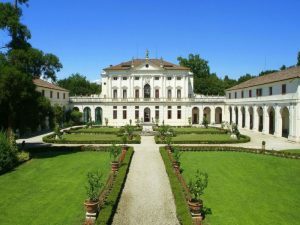 If you wish to organise your special event or wedding in this Villa, contact us for more information .